Top 5 Psychic Memoirs Reviewed – It’s a lonely road being a psychic. Revered and ridiculed. Sneered at by science and the medical profession. Shade thrown on your character, integrity and intelligence. That’s why I commend these 5 women. Each of them raises their head above the parapet. Stepping up to the microphone in the Number One spot we have…. I LOVED this book. Once I’d read a few pages I was totally engrossed and didn’t stop reading until I’d finished. Suzan’s journey – in life and as a very skilled psychic medium (she sees dead people), her concepts about soul mates, and her perspective on the planet – is fascinating. I admired Suzan’s honesty and authenticity; for putting her story out there, with all the quirky turns and bumps in the road. I was interested to understand how her experiences, which to some might seem random (or even ‘dysfunctional’ as one Amazon reviewer wrote), had an underlying deep meaning from the perspective of past lives, the soul’s journey and our living planet. Suzan has been very brave to write this autobiography. Especially after her painful experiences of being relentlessly judged and punished by important people in her life (namely Catholic nuns and her emotionally withholding mother). As a professional clairvoyant I found this memoir impressive. I hope this book is as inspiring to other intuitives as it has been to me. This is a detailed account of Sonia’s evolution, from a child who talked to spirits to ‘back room’ clairvoyant, and beyond. The text reads like it’s from her real-life diary, with lots of amusing anecdotes. Sonia was on a childhood mission to rescue her mother from a deep depression. 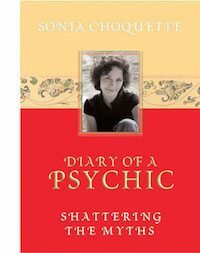 Sonia’s psychic readings cheered her mother up and thus her budding abilities were encouraged. Catholic nuns make an appearance here too (- again not in a particularly favourable light!). What I liked most about this book is that Sonia really tries to give a clear account of her developing abilities. She includes her failures and disasters, as well as her many successes. She passes on the wisdom she’s learnt from teachers. 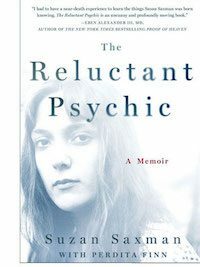 Such as how “psychic people must learn to give their emotions a rest” and that they have a hard time managing their bodies and emotions because of “…their tendency to channel the pain of the world, thus overtaxing their nerve endings.” If you are an intuitive you’ll learn a lot from this autobiography. Sonia shares her discoveries generously. When I read these books in early thirties they completely changed my feelings about being a healer. Previously being a healer felt a bit… YAWN. 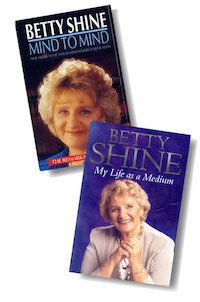 Betty is rather forgotten now but in her heyday she was a world famous medium, healer and author for over 20 years. Even the usually skeptical newspaper The Sun called her “The world’s number one healer.” Another reluctant psychic, she switched careers from opera singer to nutritionist. She began medical palm reading as a hobby. It was then she began seeing dead people, spirits, vortexes and strange all-seeing eyes about the house. Mind to Mind recounts her happy childhood and the subsequent shock of war time evacuation, and early years spent struggling to accept her healing gifts. 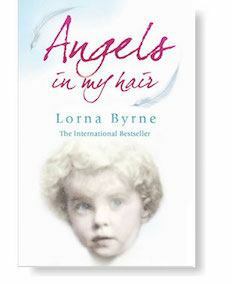 If you’re curious about angels and enjoy simple storytelling about poverty-stricken childhoods in Ireland, you’ll warm to this book. It’s about another woman who’s clairvoyant abilities grew out of suffering, trauma and neglect. Again there is an undercurrent of Catholicism throughout. Lorna is a simple soul and her language is plain. Some people may find this boring. The stories of angel sightings, companionship and miraculous healings are incredulous. Yet, if you can suspend disbelief and embrace the world Lorna wants to share with you, its an enjoyable and hopeful holiday read. Despite not being strictly about ‘being psychic’ I included this book instead of Colette Baron Reid’s Remembering The Future or Sally Morgan’s My Psychic Life. That’s because the author goes hell-for-leather to give a raw, warts-and-all account of her life. 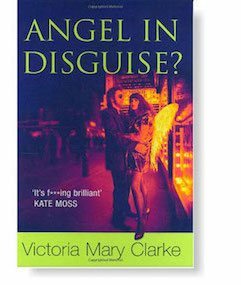 Prior to making contact with ‘the angels’ Victoria’s life was a mess. She’d hit the bottom. She starts out a chaotic and flawed human being full of insecurities. Her story is one of spiritual growth and finding the sage within. With the help of the angels, of course. Victoria doesn’t impart much knowledge about how to contact angels yourself or any wisdom about giving readings. However, I devoured this book and had a good chuckle along the way. A refreshing, original voice in a sea of Doreen Virtue wannabes.